Brought my 2018 S63 in 3 times now for loud crunching sound while turning wheel when car is cold (under 40 degrees). 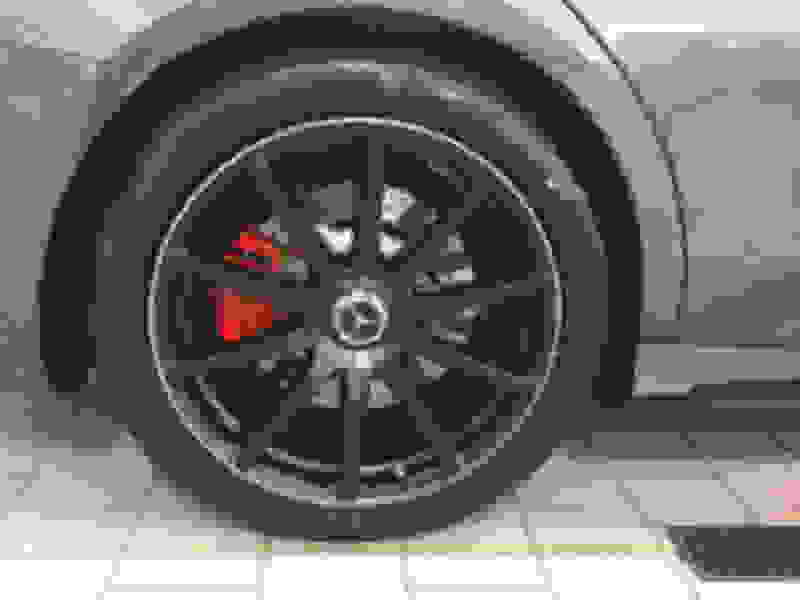 It goes away after a couple of minute or even 30 seconds of driving but the first few turns of the steering wheel when it's cold, on my summer tires which is all I can get with my 10 spoke AMG wheels. My friends think it's sounds pretty bad as do I. I thought I was out of power steering fluid but they say it's simply the summer tires and this time they had it for 2 days and finally replicated the noise. I can't believe I have to deal with this, I've had 25 cars and never had one do this, but it is what it is. They said if I switched wheels and then had winter tires, it wouldn't do this. Uh, yeah, I'm not doing that. It would cost a lot and i have no interest in doing this. Anyone/everyone else have this same problem in really cold outdoor temps? This is from Mercedes, down below. Their only solution is for me to get the winter tires with different wheels. Driving with summer tires in combination with low outside temperatures. At low outside temperatures or in wet conditions, a noise may be produced at the outer wheel on the front axle while maneuvering with sharp steering angles. AMG vehicles with 4MATIC of model series 217 (without code 494) and model series 222 have a modified axle geometry compared to production vehicles to provide more sporty handling. The problem cannot be remedied by changing the axle settings. Convert the vehicle to winter tires (service not covered by W&G). I had the same issue on my 2015. I do have a friend work at the dealer and he went above and beyond to replace multiple front end suspension components, including shocks etc. I noticed it while on leveled and smooth surface in my garage and just turning the wheel. I will see if I can pull up the invoice that was done under warranty. The issue did go away after service. Wow, thanks a lot. It's really annoying and not really safe since every time I hear and feel the noise I think I've hit something and I overreact to it with my driving by stopping. It's amazing that MB is saying this is totally normal and there's nothing that can be done. All the other cars I've ever driven in my life in the cold, none have done this. I think I'll take it to another dealer as well near me after I get your info. My patience with my regular dealer is wearing thin on this. It takes a ton of time for me to drop off a car, get a rental and then pick it back up again as it's not near my office at all. Sure thing man. If I can help, I would be more than happy to do so. I am pretty good about keeping copies of all paperwork for most of my cars. I will go through my folders tonight. Assuming I find it, I will take it to work and scan you a copy of all the details. 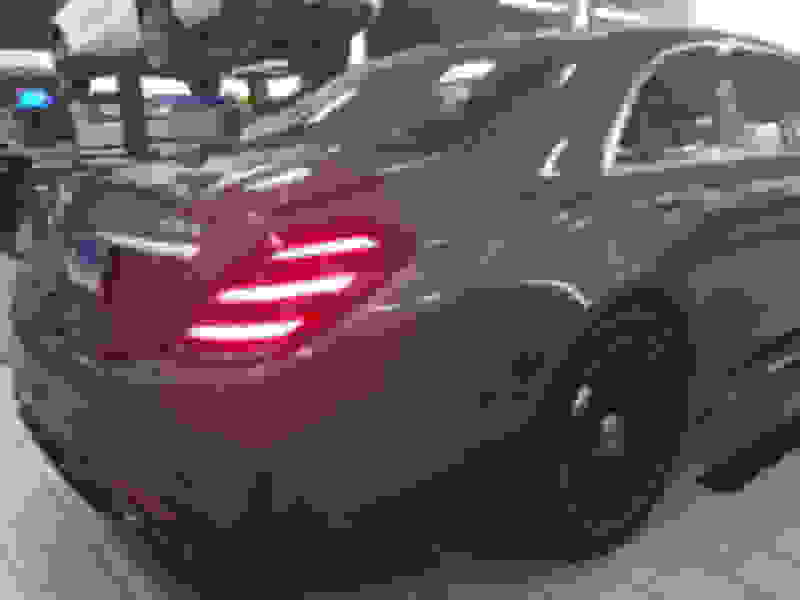 Looks like you are making something out if nothing This is normal on AMG's with 4matic plus due to the fact that the suspension is designed with negative camber. Same with our E63s was also happen to be inflated to over 50psi which I have taken down to 41psi. That lessens it too. Newer AMG models do have a much tighter suspension than older ones (like the W221's). That said, it's outright crazy for anyone to drive with high performance rubber anywhere near or below freezing. You'll be a danger to others if you do. There are plenty M&S and snow tires available for your car. Not sure if there is a difference there between AMG and non. I have a 2015 S550 4Matic. I'll still provide you with what I had done and hope it helps. Yes, big difference. There is also a difference between the 2014-17 S63 and 2018-19 S63. Sorry guys, will get you copy on this tonight. Would love to hear what you had done to your car. I was out tonight in 35 degree weather, pouring rain, with my family and each time I turned the wheel sharply a horrible crunching noise (like when making a U turn). I can't buy all season OR winter tires for these wheels, they don't fit. Believe me, I asked Tire Rack and my dealer. Only summer tires fit and no, I'm not buying a separate set of tires for 3 mos out of the year. This is a huge bummer. The dealer keeps telling me my tires are OK but the tires can't be driven in really cold temps without this crunching noise they say. Interesting since they never did this for the first winter I owned the car, ever. Maybe at 11K miles the tires ARE shot and the dealer is wrong? Crazy that Tirerack is giving you this info. It makes sense to drive the car throughout the year. Our E63s is actually our winter car and it goes through deep snow with ease! We use Pirelli snows (Sottozero III) and they work quite well. Same forged rims and and staggered setup. Last edited by Wolfman; 03-04-2019 at 07:27 PM. If it "goes away after 30 second" why not just ignore the problem? Wolfman gave you the correct and best info. You can argue all you want about using the car 12 months out of the year but your car does not have all season tires...period. So driving summer tires below 45 degrees is just plain dangerous. They are summer tires and not designed for cold at all. When I lived up north most guys I knew with daily driver performance cars have 2 sets of rims /tires. Thats the price if you want a performance car as a daily. Complaining about a summer tire not being a winter tire is ridiculous. I met some friends up in Virginia 2 years ago driving on Michelin PSS---- a summer tire. It was fall and fell below 40 degrees by morning for a spirited drive through the mountains. It was like being on ice skates. Dangerous. You could try an all season tire or just do as most do and by aftermarket rims for the winter with winter tires and swap back to these when it warms up. The noise is not the big issue, safety and traction is. Pretty heavy car to lose traction in. While I do appreciate this info and I understand what you're saying, I'm telling you... there are zero, none, nada snow or all season tires that fit my 2018 S63 wheels. If others have them on their S63's, it's not these wheels. I called Tire Rack like 6 X about this. I'd absolutely have to get dedicated winter wheels instead. Not ready to do that yet but I'll consider it. I'd have to figure out which wheels to get. It would probably take me at least 3 months to make a decision as to which wheel at which point it would be summer. Winter tires or all season tires? I have no idea what to do here... Will have to research some more. Did that link not work for you? These are the winter tires that fit your exact AMG 20” wheels. All w222 20” S63 wheels have the sams specs. No offense, there is literally nothing special about these wheels. Are those Pirellis RUN FLATS? I read the specs on them but I don't see them being run flats. I have to have run flats of course, there is no spare. I do appreciate this info and will call Tire Rack AGAIN in the am! Why would you need run flat winter tires? 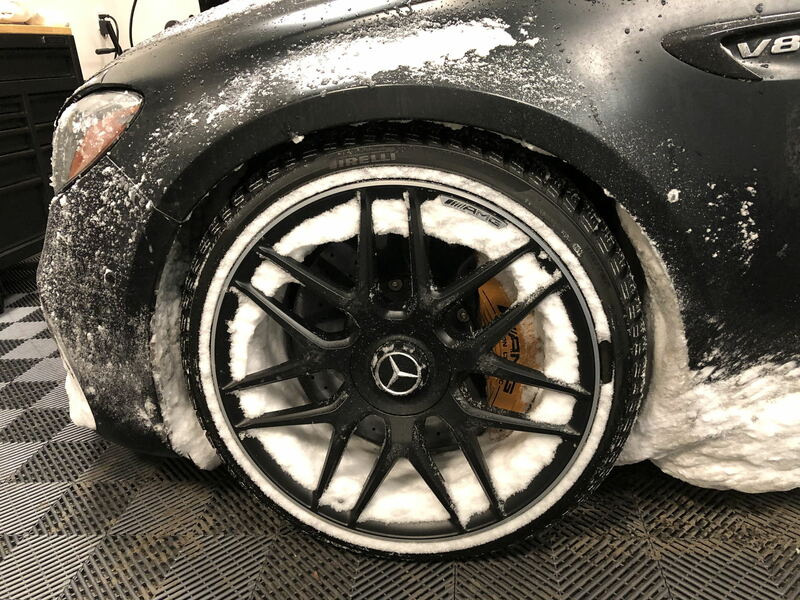 AMG’s are sold with standard, non run flat summer performance tires and they are just fine without (I meant better for it). A cheap tirefix kit is all you need if concerned and if MB didn’t already get you one in the trunk. PS. Perhaps you may have asked Tirerack for Run Flat Winter tires as you may believe that you have run flats now. They don't have those. Last edited by Wolfman; 03-05-2019 at 11:27 AM. Why not buy these cheaper replicas for the winter and put the winter tire Wolfman posted. 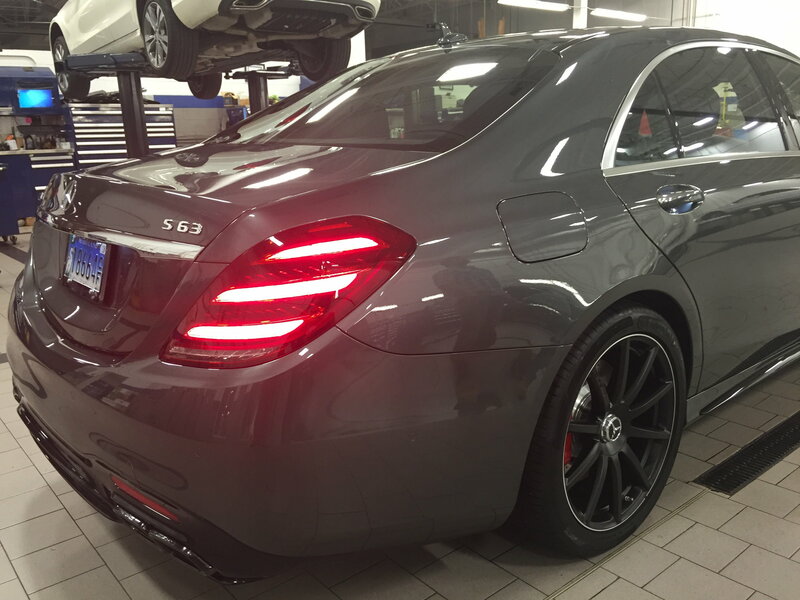 Your only using them 3-4 months so your beautiful forged S63 rims will stay pristine for the warm weather. This is what most do. If you get out of the car for any reason there are many guys that need winter rims, so just sell them off. Personally I would do separate rims not swap tires as your just increasing the odds of marring up your rims plus its a lot more inconvenient. Last edited by seamus2154; 03-05-2019 at 03:50 PM. As usual, great info here! Yes, and as usual, I was wrong. They DO make winter (not all season) tires for my car in NON RUN FLATS. The Michelins were highly recommended by the Tire Rack guy I spoke with today. He said that below 40 degrees my current tires aren't super safe in the winter so I guess for next season I'll get them. I'll be away most of March so I don't care about this season at this point. The idea to get separate wheels for the winter? I'm not interested in replica wheels but it makes sense. I'll look into this for sure! He said just wing it and not keep a huge spare in the trunk. Last edited by stever500; 03-05-2019 at 09:32 PM. What you're noticing with the tires, if it only occurs at low-speeds while turning at full-lock or near full-lock, this is actually normal & many vehicles that are setup with sporty intention in mind will do this. You'll notice this phenomenon occur when there are two different surfaces the tires are on (like in a parking garage, the tire may be in contact with the painted stripe as well as the concrete (or whatever flooring surface there is) & you turn the steering wheel at full-lock. I wish it was this above. No, it's something very messed up! Not this at all. VERY loud crunching noise when turning the wheel sharp right or left. It's not at all normal. But thanks! Guess I need to wait till the weather is warmer to see how quieter it gets. If it's still bad, they said to bring it right in since they claim it's due to cold weather. Personally, I think my tires are totally shot at 12k miles but they say they're not shot. I don't get it. Next time around I may not go with run flats and just risk getting a flat. Turns out I DON'T have run flats after all! Crazy, my dealer always told me I had run flats. Found out today they were wrong and Tire Rack was right. At 12600 miles they seem totally shot. My check engine light came on again for like the 4th time (misfire again) so I had to take time off work, again, and bring it in for another loaner. The last time they had the car for 2 weeks. I still love this car even though it does have issues from time to time. Once they tell me if my tires are shot I'm going to get the Michelins, non run flat of course. Strange that I've been driving it for a year thinking the sh***y tires was because they're run flats. They are just horrible tires I guess, that came on the car. Then I'll buy a second set of wheels for the winter, the 5 split silver colored ones I love and rock Blizzaks all winter. The dealer service guy apologized and said he was wrong. MO doesn't mean run flat he said. It's Mercedes Original or something like that. Yeeesh. I think he said MOE is run flats. Whatev. It's a lot of work keeping this car running well but it's all worth it. I think your still confused, and dealer is giving misinformation. If your tires say MO or MoE they are "runonflat" tires which are runflats but legally they cant say runflats as you will read here. I have these crappy tires on my car and were original equipment. Read the description and explanation of MO an MOE on the outside. You are creating confusion here. His tires are Performance summer tires that are NOT run flats. AMG does not put run flats on the cars. Last edited by Wolfman; 03-15-2019 at 03:56 AM. If 25 years ago you ever told me there would be so much legal speak and confusion in general about tires I would have thought you would be crazy. Thanks for your clarification. I love the part where they say they are called "runonflat" but can't call them runflats because they don't meet a standard known to runflats. Hence MOE......... Well these are the tires on my S and I can attest to them riding like rocks. Switching to Michelin ASAP NON runflats! Using run flats has been a hot debate since their inception and they are getting better but still can't compete with conventional tires in most categories. I understand the reasoning but find that the disadvantages outweigh the benefits. Hence, its worth to spend some money for the switch to have the best experience.